Is it a good TV show gone bad, or was it never as good as the hype? Only one episode left in this season of American Horror Story: Coven. I’ve seen every one. The first few game me some hope. The series had a top-notch cast, some clever ideas, and, most importantly, it is one of the few shows that focuses on horror. But, the writing… boy oh boy. Sometimes you need to just give up on a TV show. I didn’t. It’s not all bad. Jessica Lange’s Fiona Goode, the supreme witch, the head of the coven, is lucky. Her character has the best storyline. Her path through villainy is compelling, and Lange is skilled enough to underplay the camp that weighs down the series. Fiona’s relationship with her daughter Cordelia, a witch who is much weaker than her mother, is compelling and complex. Watching Fiona battle cancer, the loss of her power, mortality, all the while remaining a villain is the highlight of the show for me. 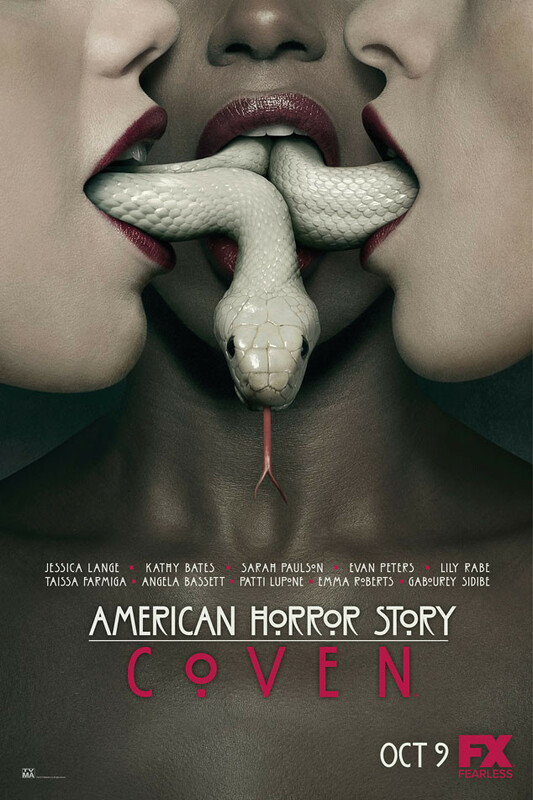 There are several other characters on American Horror Story: Coven who are rich enough to keep my attention: most notably fellow witches Misty Day and Myrtle Snow, and Cordelia’s duplicitous husband Hank Foxx. Even the Axeman, a murderous musician, is 3-dimensional enough to keep me interested. Most of the other characters, however, are either flat or downright annoying. There’s Madame LaLaurie, the psychotic noblewoman played by Kathy Bates (annoying), and Angela Bassett’s Marie Laveau (one-note). Though their final (joined) fates were well done. The plotting is a lesson in absurdity. Characters die and are brought back to life. When death is not final it holds no power to shock or disturb. Fiona was supposedly killed. I’d be shocked if she didn’t reappear in the final episode. American Horror Story: Coven is a show with no internal logic. From the beginning of the season it was emphasized that witches were in danger of dying out — they were being killed off. But in a recent episode, supreme witch Fiona claimed that the process to identify the new supreme would inevitably kill some of the girls. How does killing witches help strengthen the coven? During the course of the season we got to meet the group responsible for hunting the witches down. With just one episode left, I would be rooting for them to kill every last one of these witches, even the so-called good ones. Unfortunately the writers screwed up again. An organization that spent centuries hunting witches had no way to protect themselves against witchcraft, and they were wiped out in the course of a single episode. you would think that such a group would know how to protect themselves. Logic be damned. Then again, maybe I was expecting too much. 1. The idea for The Hunger Games came to author Suzanne Collins while channel-hopping between coverage of the invasion of Iraq and a reality TV show. The idea began to form in her mind of a narrative which concerned a televised fight to the death. The theme of the series has led critics to draw comparisons with similar works, principally Battle Royale, a 1999 novel by Japanese author Koushun Takami, but the idea of a dystopian future world in which people fight each other as part of a television programme is found in a novel by Stephen King (writing as Richard Bachman), The Running Man (1982). Time travel – from fiction to fact? So far, the answer is no, unless the time travelers are hiding themselves really well. It’s not too often that you hear of honest-to-goodness scientists searching for time travelers in a systematic fashion, but a few of them are. Richard Nemiroff, an astrophysicist at Michigan Technical University, and his team took a deceptively simple approach for tracking down time travelers: they did an Internet search. They entered the following terms in the Internet: Pope Francis (there was no Pope Francis before March 2013) and Comet ISON (discovered in September 2012). Their theory — if they found mentions of either before the dates they were known, that would point to the existence of time travelers. They found only one mention of Pope Francis, but that seemed accidental. Then they called for tweets using the hashtag #ICanChangeThePast2 or #ICannotChangeThePast2, specfically asking that the tweets be sent before the date issued. No responses. Maybe there are no time travelers roaming among us. Or maybe they’re smart enough to not leave a paper trail. So, for now, we’re stuck with time travelers existing only in TV, movies, and books. Maybe that’s a good thing. It’s complicated enough in imagination land. See my post on killing Hitler here for a good rundown. Also, check out io9.com’s complicated examination of the paradox-filled, twisted timelines of the Terminator franchise. The bottom line? Time travel is hard stuff — hard to write about, and possibly too hard for us to ever achieve in reality. 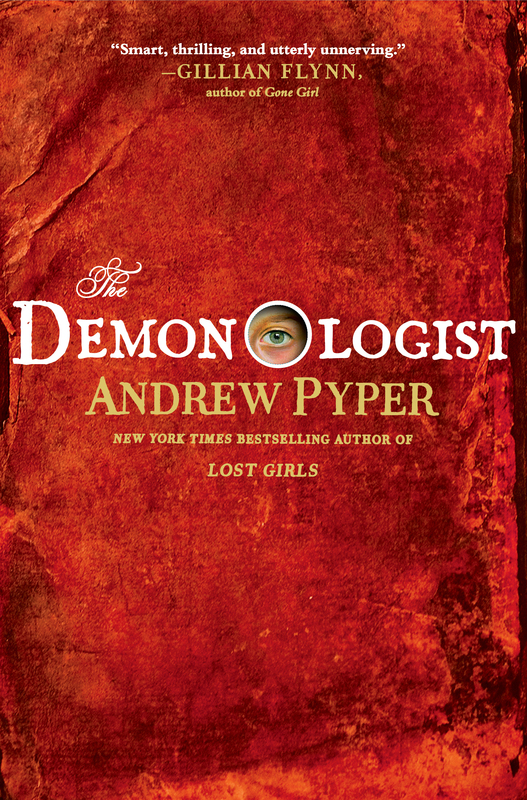 Andrew Pyper proves that horror can live alongside literary fiction. In one sense, The Demonologist is a highbrow book. Its touchstone is John Milton’s Paradise Lost. Paradise Lost, published way back in 1667, is a classic (long, long) epic poem that chronicles the fall of Adam and Eve, Lucifer and a whole bunch of demons. It is the definition of literature. I read it in high school. It wasn’t fun. I haven’t read it since. Now along comes Andrew Pyper, who valiantly tries to make Paradise Lost interesting. He pulls it off. In The Demonologist, our hero David Ullman is a Columbia University professor who specializes in Milton’s Paradise Lost. He is visited by a creepy woman who offers him a huge sum of money to fly to Venice and consult with her mysterious employer on the topic of demons. His marriage in shambles, he agrees, and takes along his old-soul 12-year-old daughter Tess. In Venice, he sees something that make him believe demons may in fact be real, and then witnesses his daughter plunge from the hotel roof and disappear. 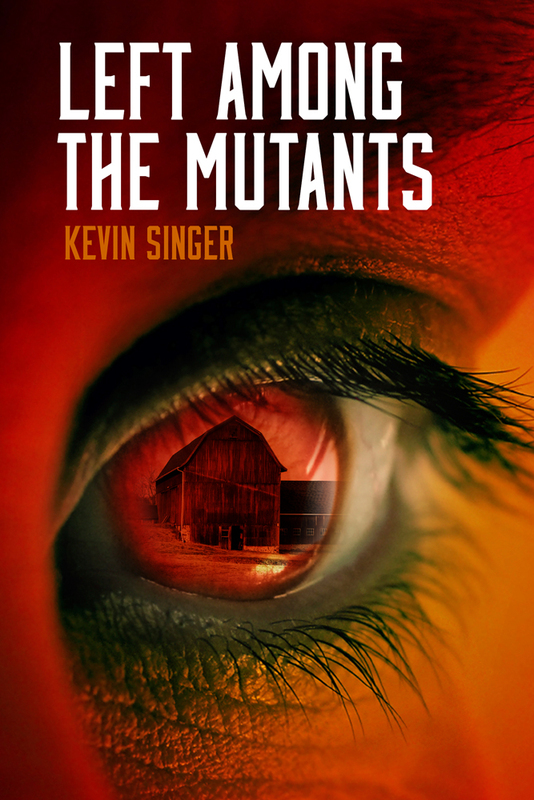 The rest of the novel follows David as he searches against reason for his supposedly dead daughter, encounters demonic forces and dodges church henchmen. In The Demonologist, Pyper pulls a brilliant switch — what the demonic forces want from David is really simple, so simple that I can’t believe it hasn’t been explored before (maybe it has). I won’t spoil it, but it’s a great play on Pyper’s part. He’s a strong writer. His descriptions of evil are fully sensual and always unsettling. He touches on themes of mental illness and the complicated relationships between parents and children without being overbearing. And, most importantly, he is willing to make the reader feel acutely uncomfortable. He kills innocents in service to the story. That is horror. Pyper does one more thing in The Demonologist that I like: he uses the reluctant hero. Thriller stories tend to rely on the valiant/flawed hero. Think the suave yet emotionally remote James Bond, or FBI agent with a scarred childhood Olivia Dunham from TV’s Fringe. These heroes are fun to follow, but as a reader and writer, the reluctant hero is the one I identify with. 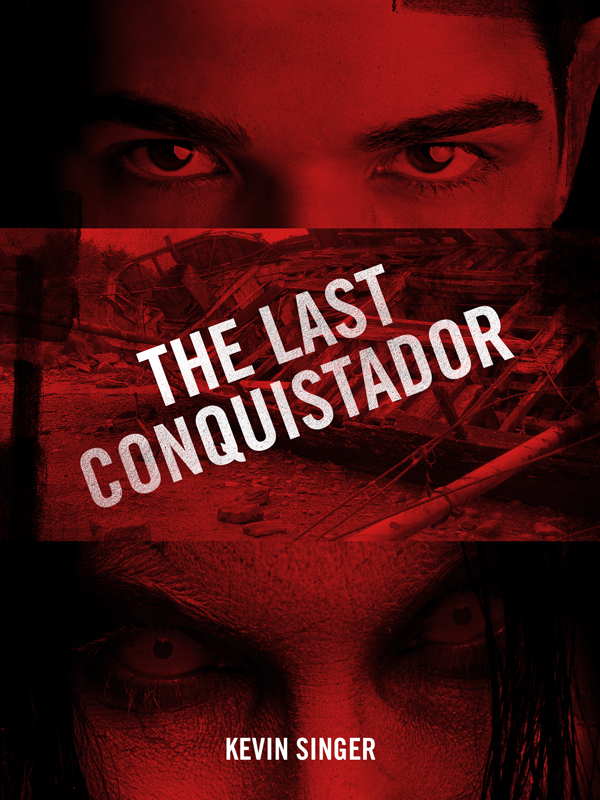 In my book The Last Conquistador, the hero Randy Velasquez only wants to find his girlfriend. He doesn’t care much about the demon chasing him, except that it’s standing in his way. Similarly, in The Demonologist, David doesn’t even believe in demons – he’s an atheist. He only wanted a big fat check. Now he just wants his daughter back. If it wasn’t for that, he would have probably returned home with Tess and rationalized the whole Venice episode away. But then we wouldn’t have had such a thrilling and surprising story. Helix: sci-fi or scientific procedural? If the first 15 minutes are anything to go by, with their new series Helix, SyFy is trying to blend the procedural with science fiction. As far as the characters, the preview that SyFy has up throws a good chunk of expository back story at us, including a broken marriage. Conveniently the lead, Alan Farragut, is not only the ex-husband of fellow scientist Julia Walker, he is also the brother of infectee Peter Farragut (who slept with Julia). Kind of soapy. Hopefully that won’t be the focus. And, it seems to be a sort of CSI: Arctic Circle, with a crack team of scientists battling a mystery illness (or is it a crime?). So based on what little is out there, it’s hard to tell what the hell is going on. But, if the reviewers at io9.com are right (and they’ve screened the entire pilot), Helix marks a strong return of the dark horror to SyFy. In fact, they call it SyFy’s best new show in years. Then again SyFy has produced very little worth watching in years.